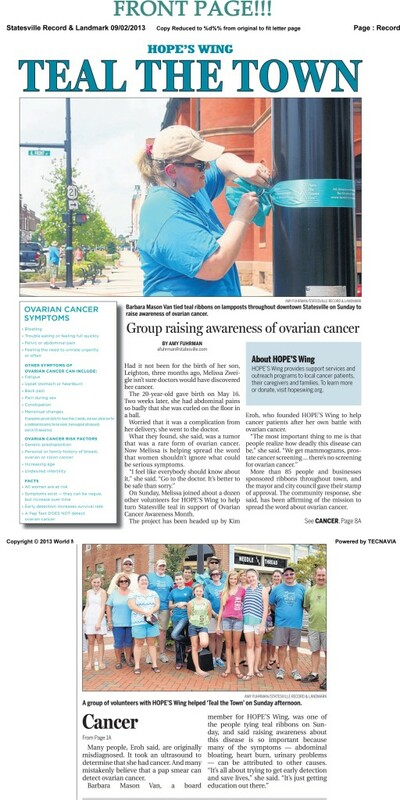 Statesville, NC is officially TEAL! We are also patterning with Sweet Thing Bakery to provide Teal Cupcakes. In addition, J Myers salon will be offering Teal Toes! Sweet Frog Ice Cream will also hold a charity day for us on September 9th and 23rd.